On a lazy Saturday in September, two boys are biking to a nearby pond, fishing poles teetering out of their backpacks. A mother watches as her toddlers run around in the nearby playground, their gleeful shrieks interrupting the stillness of the Liberty Park neighborhood. 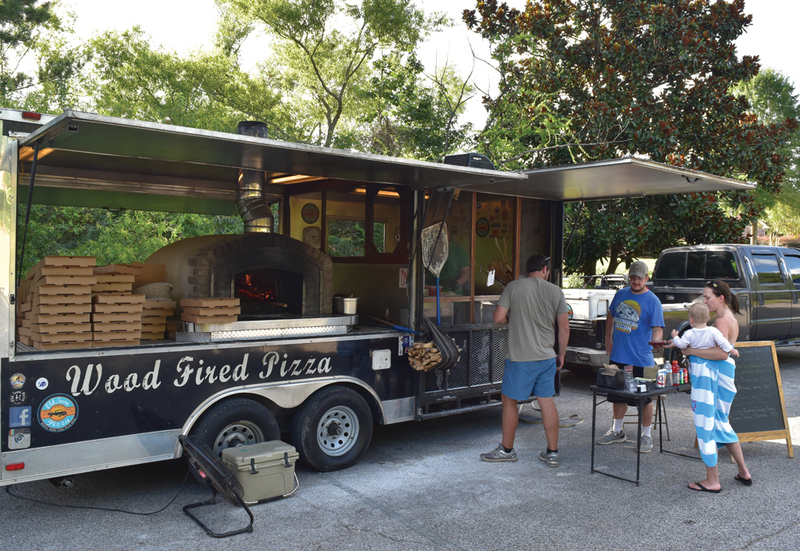 What started as a controversial annexation to Vestavia Hills in 1992 has slowly but surely become one of Birmingham’s most desirable communities. For decades, families have flocked to Liberty Park to raise their children in this 4, 000-acre haven. Each of the 22 neighborhoods was designed to be distinct microcosms within a larger community, according to vice president of development Shawn Arterburn. “We want it to feel like a hometown, ” he says. Officially called a “Master-Planned Community, ” the ultimate goal of the developers was to create a flexible but deliberately designed suburb that would offer everything a family could want. The construction of HealthSouth’s headquarters has spurred along even more opportunities. “It’s going to bring additional jobs, additional growth, and additional homes, ” Shawn says. The newest neighborhood, The Overlook, features lake-front sites and homes ranging from the 400’s to 700’s. Despite all of this change, Arterburn touts the overall tranquility of the place. “It’s only seconds from 459, but it’s so serene, ” he says. And indeed, once you pass Lady Liberty, the stress of the interstate diffuses amongst the shaded parkway as the speed limit drops to an ambling 24 miles per hour. “All the kids are out here playing after school, ” longtime resident Burgin Vernon says. Children are out and about, riding bikes, dribbling basketballs, and chasing each other through sprinklers. Parents can rest easy, knowing their child is one or two streets over with the freedom to play just like they did as a youth. For more recreation, Lunker Public Lake sprawls throughout the development. “My kids love to fish. We take the golf cart and tow a little boat behind it, ” says Kelli Eschleman who has lived in Liberty Park with her husband and three sons since 2003. Other perks include proximity to the renowned, invitation-only Old Overton Country Club. The golf course, designed by Tom Fazio and Jerry Pate, ranked as one of the top courses in Alabama by Golfer’s Digest this year. Seven Hydrocourts and two hard courts are home to a burgeoning tennis program. The nearby swim pavilion offers a welcome respite. An attentive homeowner’s association ensures that the neighborhoods retain their idyllic appearances. Every detail of Liberty Park has been thoughtfully planned out, from the mailboxes to the architectural styles of the homes. “You feel proud to live here, ” Kelli says. “It’s very well maintained.” In addition to the community feel and the big backyards, Kelli says the school system was another draw. In 2015, Liberty Park Elementary was ranked second in the state by the National Center for Education Statistics. The school system consistantly ranks in the 98th percentile among Alabama schools. 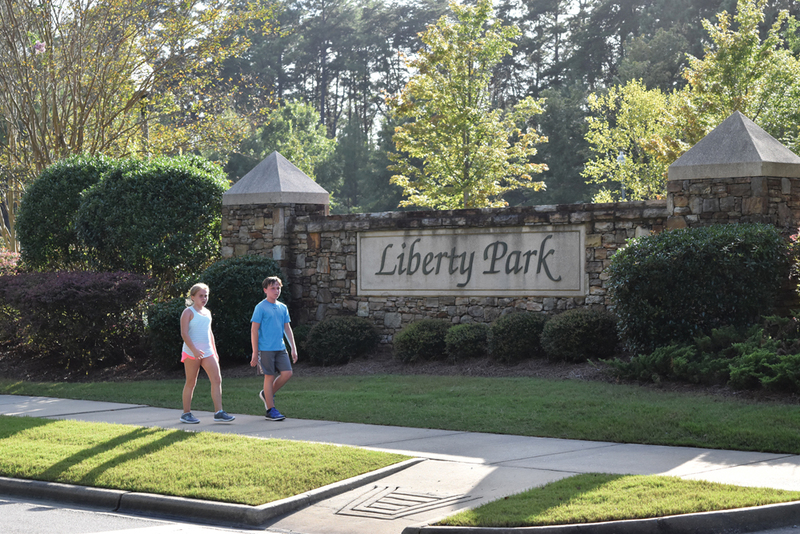 Miles of walking trails, dog parks, a new “splash pad, ” baseball and football stadiums, and community events make it hard to leave Liberty Park. “You really don’t have to go somewhere else. You can do so much right here, ” Bugin says.